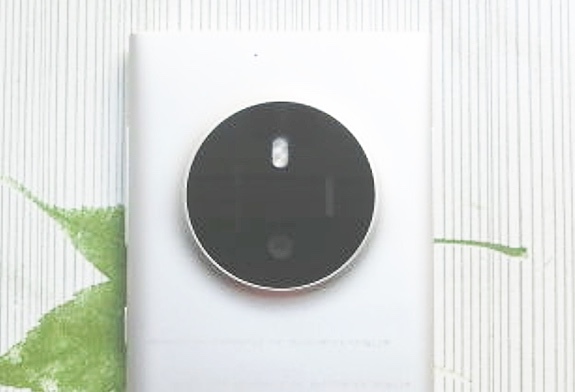 Although we covered the aborted Lumia 1030 almost two years ago, it seems that images of it are still causing excitement, long past its 'time'. In this case Evan Blass, noted leakster, posting a render, which I believe because it fits right in with what we already knew. What I think we're looking at in this prototype is... an electronic shutter and latest-gen pulse dual LED flash (you'll remember that I covered the development of LED flash in my interview with ex-Nokian Damian Dinning recently). All of which rather rules out Xenon flash. Xenon, you may remember, fires a bright but very short pulse (in the tens of microseconds) and the tie-in with mechanical shutters has traditionally been that you need to re-engineer the sensor to cope with the fast illumination - it's complicated but it's to do with the way the photo pixel charges are read. There's much more analysis of the original 'leak', from December 2014, in my original story here.